We are a family-owned and operated business! We are also parents of three beautiful children, & therefore, understand you and your child’s needs. 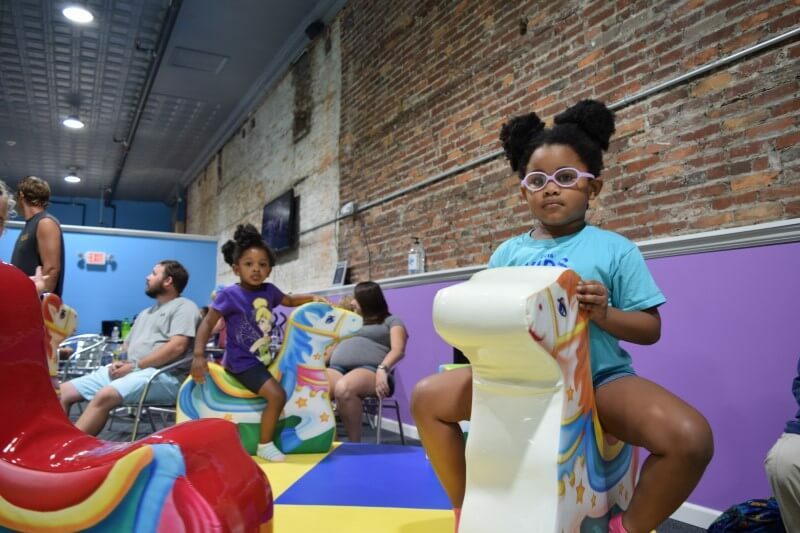 We offer a clean, safe, & fun environment for children to use their imaginations, play at their own pace, & most importantly-have fun. 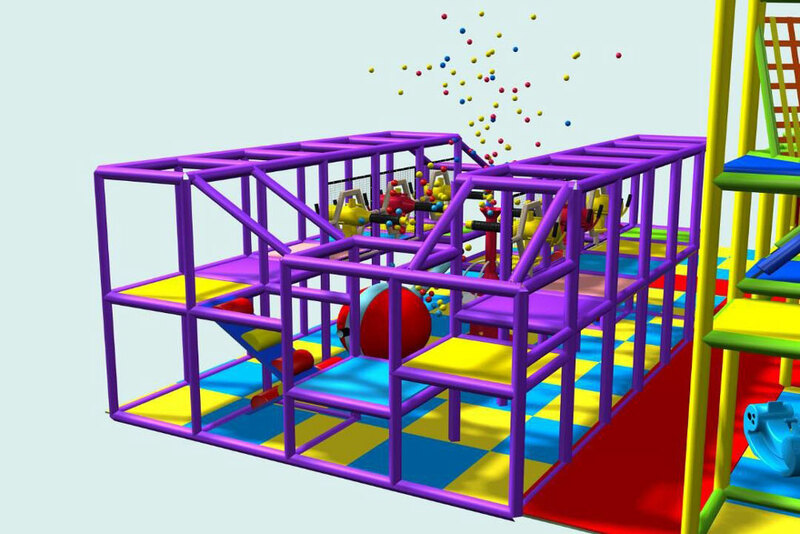 It has a 1,500 sq ft playground structure, filled with climbing, obstacle courses, slides, swings, and much more. There are a lot of health benefits for your kids, on our playground, like enhancing balance, reducing stress, releasing endorphins, improving sensory integration and stimulation of the lymphatic system. We also have Arcade Games, a MEGA Brite, Giant Connect 4, and other games! 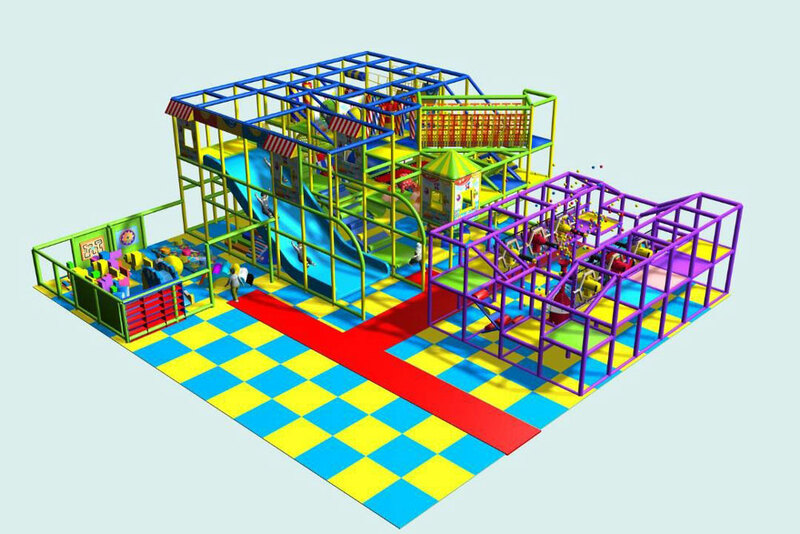 Let your children expend their energy in a healthy way, in our fun, safe environment. 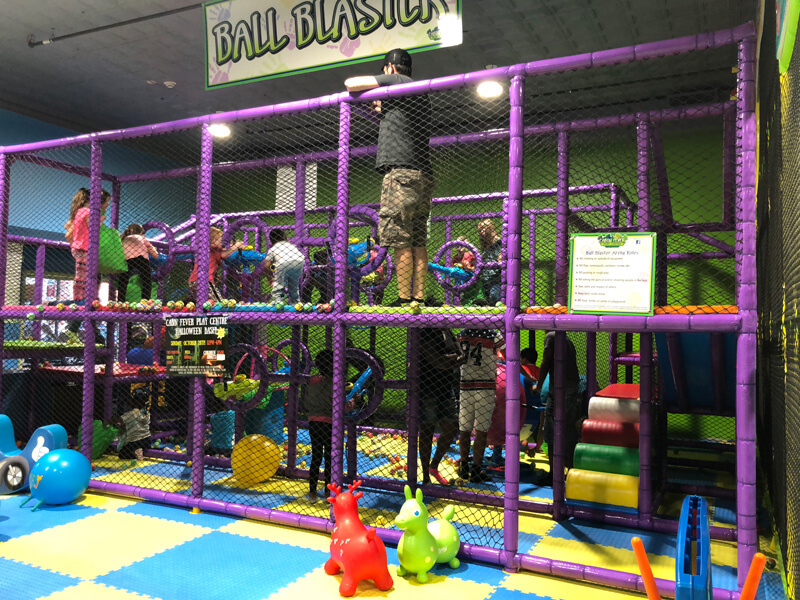 Catch the foam balls shooting from the cannon (using the giant nets), or climb up to our second level and get in some target practice. Parents are welcomed and encouraged to play along. 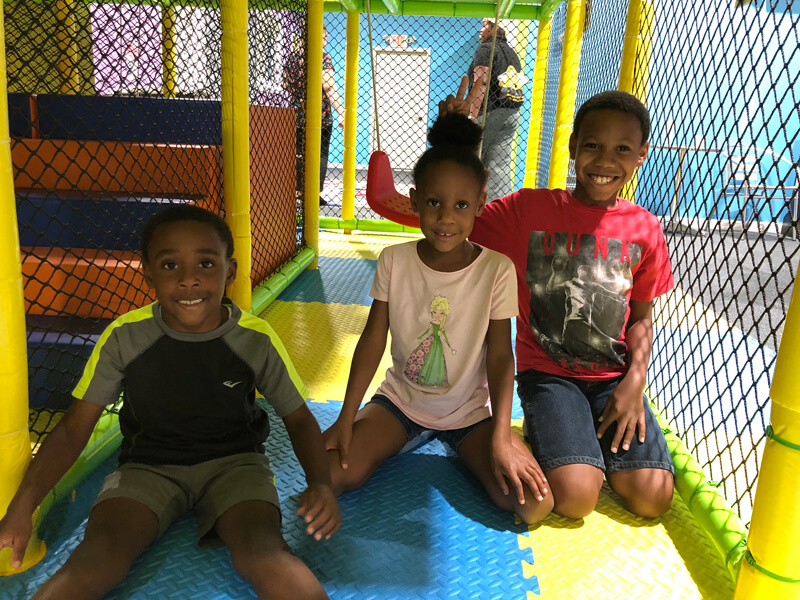 Our structure is built large enough for parents to join in and have some fun, or you may sit back in our seating area and take a break while enjoying television and free WiFi. Our equipment has a 250lb per person weight limit. Please read our full Facility Rules prior to arrival. The Second Wednesday of Every Month until 1pm. For Children 5 Years & Under ONLY. 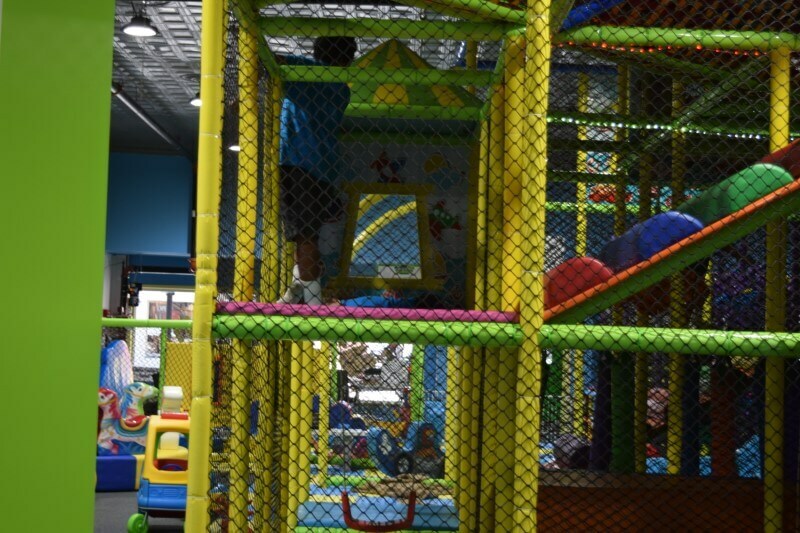 We have a toddler-only play area! 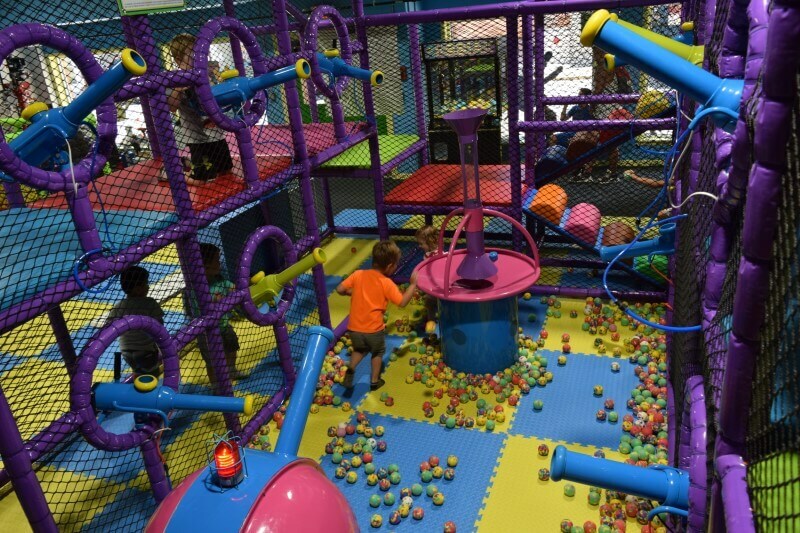 This area provides the smaller ones with a space to be adventurous and explore without bigger kids getting in the way! 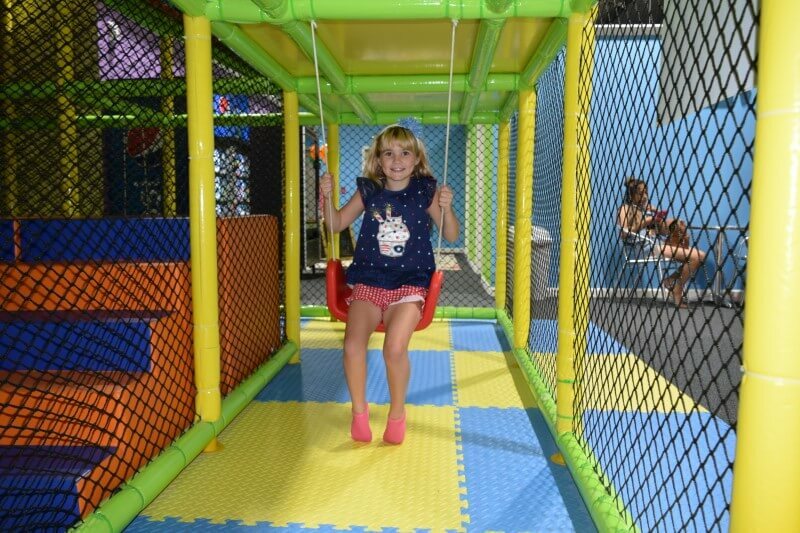 We have it all from over-sized blocks, climbing areas, toys on our soft foam mat, slides, and sensory wall games. We take special care to sanitize this area throughout the day, to keep our smallest guests healthy.